The bike will be available in four builds, all of which retail for more than $7000 based on current currency conversion rates (click to enlarge). 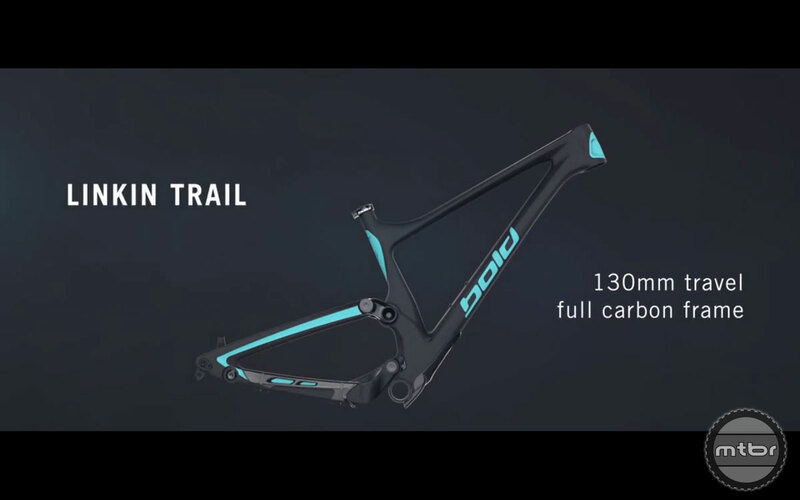 From the novel idea department comes the new 130mm Linkin Trail bike from Switzerland’s Bold Cycles. 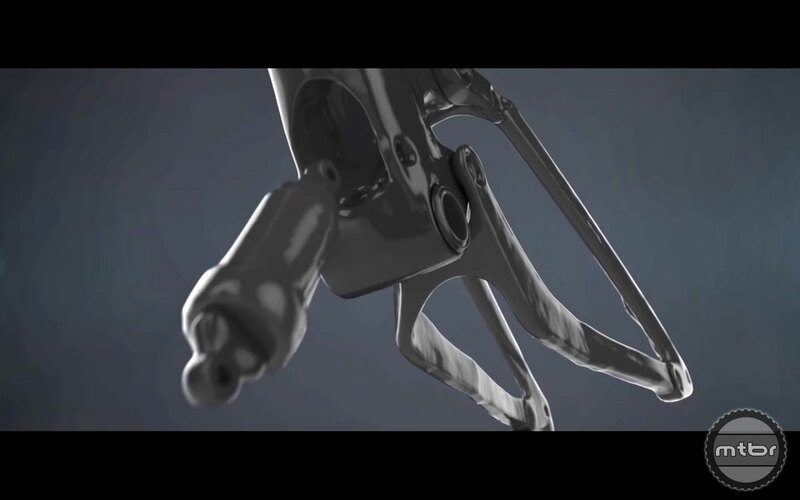 The rear shock was developed in partnership with DT Swiss and is completely housed inside the composite frame’s seat tube in an effort to protect it from rock strikes, crashes, mud and gunk. 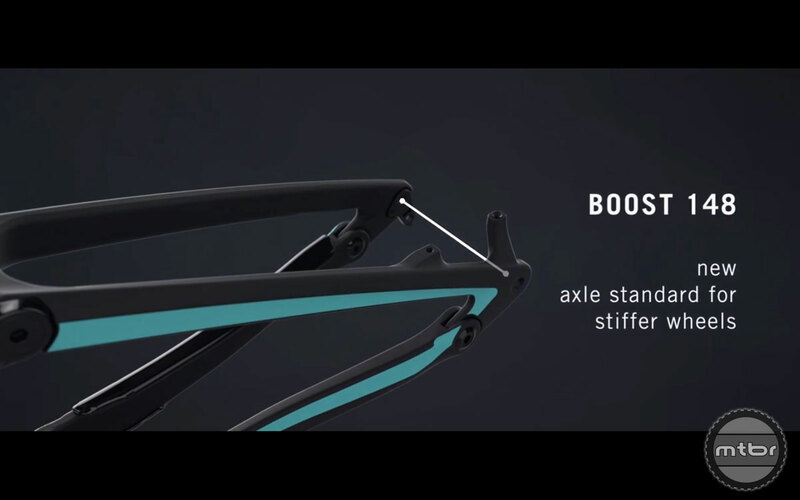 The result of what Bold calls IST (as in internal suspension technology) is a super clean look that also allowed them to lower the bike’s center of gravity, create more water bottle space, and make shouldering the bike more pleasant. The shock was co-developed with DT Swiss (click to enlarge). The suspension design is a Horst-Link four-bar and there’s a remote lever on the handlebars that toggles through three shock settings. Intake ports on the headtube permit air to flow through the top tube and down tube, cooling the shock that’s driven by the frame’s upper rocker arm. Damping controls and air valves are accessed by removing a protective cover plate, which uses two screws to close over the shock that enters the frame from the bottom. 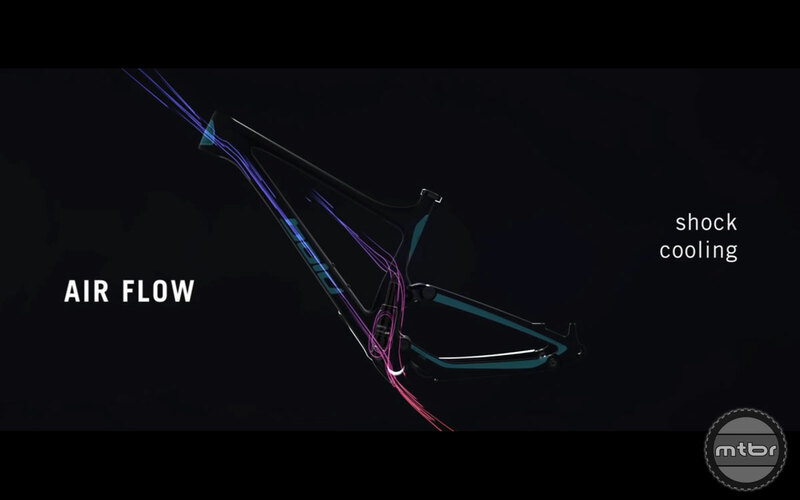 The frame will come in three sizes and is made from T30 and T40 Toray carbon fiber. The shock enters the frame from the bottom of the seat tube (click to enlarge). Shift cables and the rear brake line are internally routed. Wheelsize is 27.5 with tire clearance for up to 2.8” thanks to a Boost 148 rear axle. You can also bump up to a 29er wheel with 2.4” tires as this video illustrates. 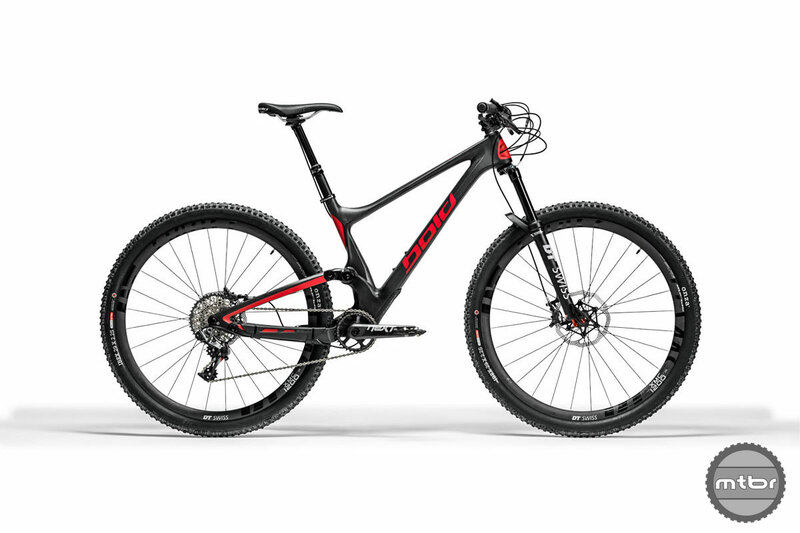 The bike will come in four builds: Race Day 29 with SRAM XX1 ($9100 based on current currency conversion rates), Early Bird 29 with Shimano XTR ($8200), Sick Day 29 which also has SRAM XX1 ($7300), and Sick Day 27.5 Plus, which is yet another SRAM XX1 build but with the smaller wheel size ($7300). No word yet on the possibility of U.S. availability, but we’ll keep you posted as we learn more. In the meantime, you can get more info at www.boldcycles.com. The bike will be available in four builds, all of which retail for more than $7000 based on current currency conversion rates. 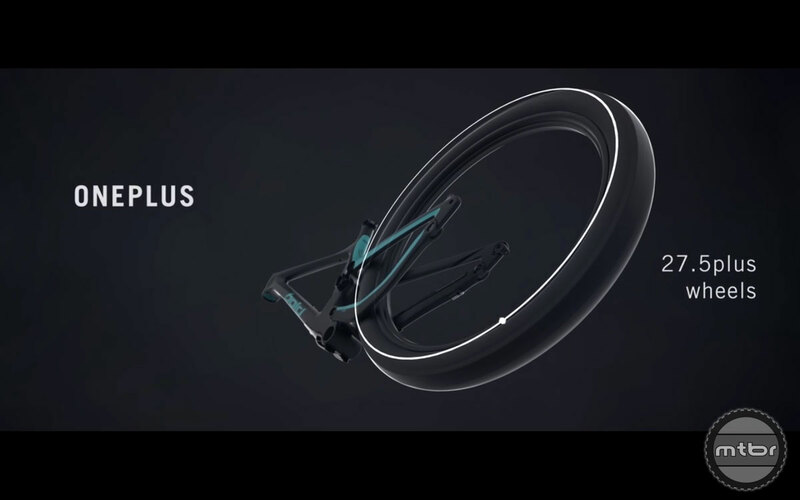 The bike can accommodate 27.5+ wheels with up to 2.8″ tires. You can also run a 29er set-up with up to 2.4″ tires. Intake ports on the headtube help move air through the frame to keep the shock from overheating. The rear end uses the new Boost 148 standard, which allows for more versatility in wheel size choice. 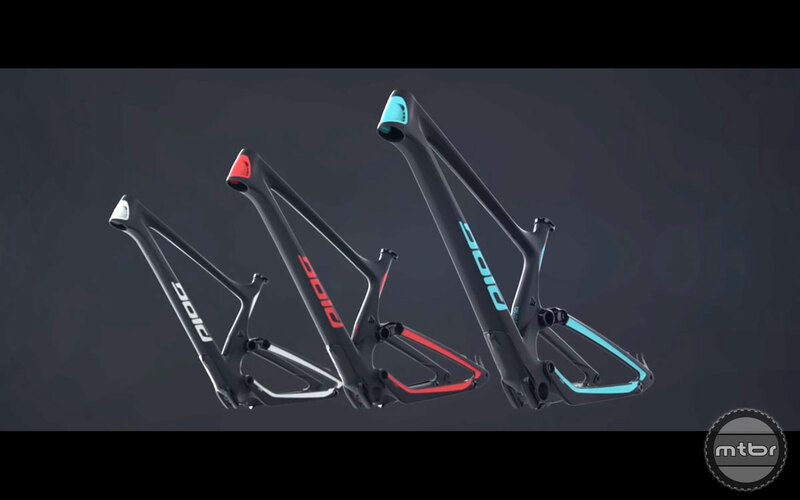 The bike will come in three frame sizes. 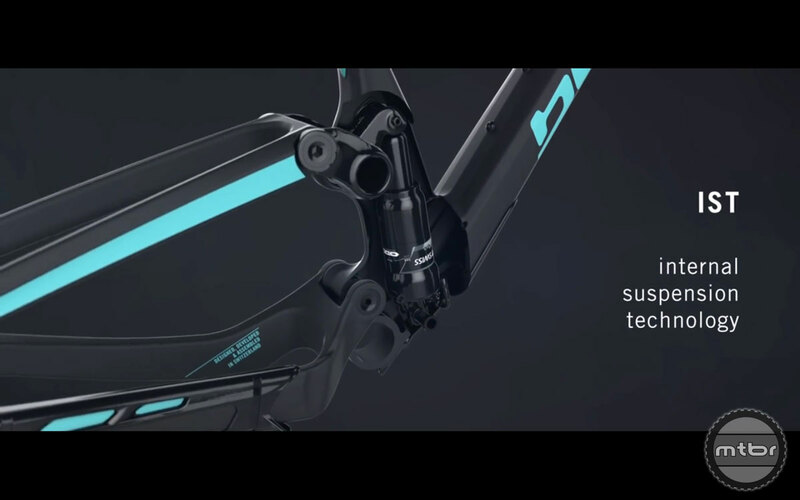 The shock was co-developed with DT Swiss. The shock enters the frame from the bottom of the seat tube. It’s a 130mm four-bar suspension platform. Nice concept, but I don’t think they have enough cables coming off the handlebars. Nice idea but I’ve never had a problem with my rear shock….